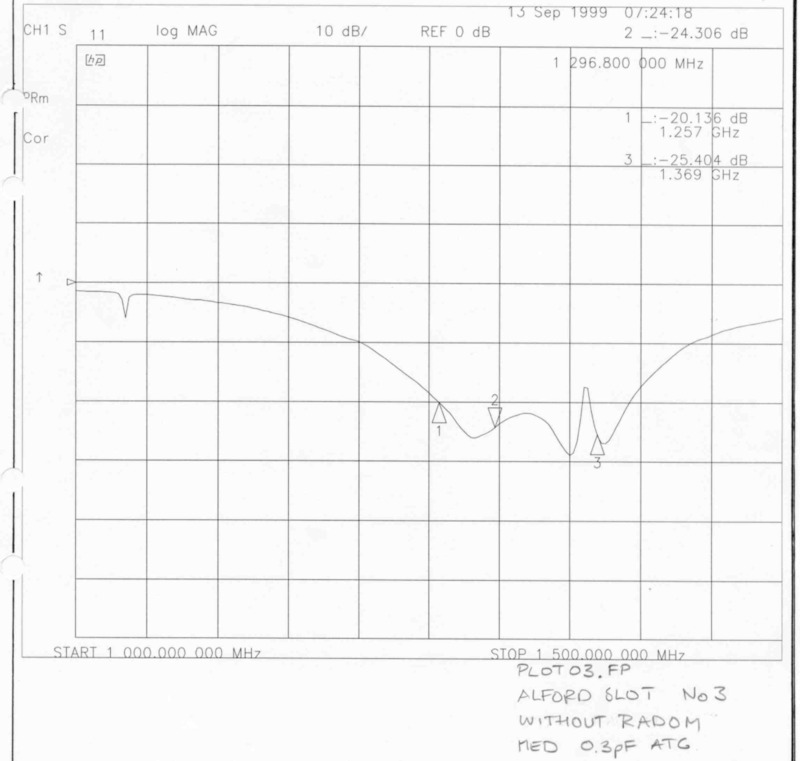 The slotted cylinder antenna, Alford Slot, was first introduced by Andrew Alford in 1946. 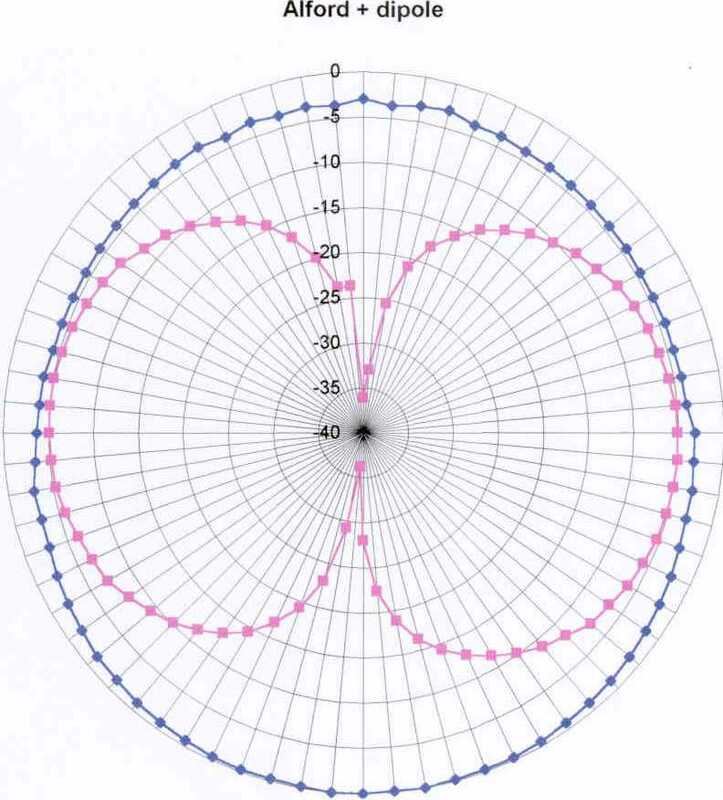 Its an omnidirectional horizontally polarized antenna.There are not many descriptions available, most of them that I have found are based on the work made by G3JVL in 1978 [Microwave Handbook, M W Dixon G3PFR]. Due to difficulties to get exactly the right dimensions of materials in the descriptions, I have chosen to use dimensions easily available in sweden. Material, aluminum tube 35 mm outer diam (32 mm inner diam.) can be bought at P&P (Plat & Profile, Metallvaruhuset, in Gothenburg) I found it suitable to make it 750 mm long, the slot should be 510 mm long and 7 mm wide. Turn a top cap and a bottom cap in a lathe and mount a connector preferably a N-type bulkhead for semi rigid cable UT-141 in the bottom cap. Make the cable so long that it will reach the middle of the slot and bend it so it follows the backside of the tube so that it would not disturb the electrical field in the slot. I am not using the balun described in the G-land descriptions, I found that an ordinary lambda/2 balun is easier to make, using UT085 coax. 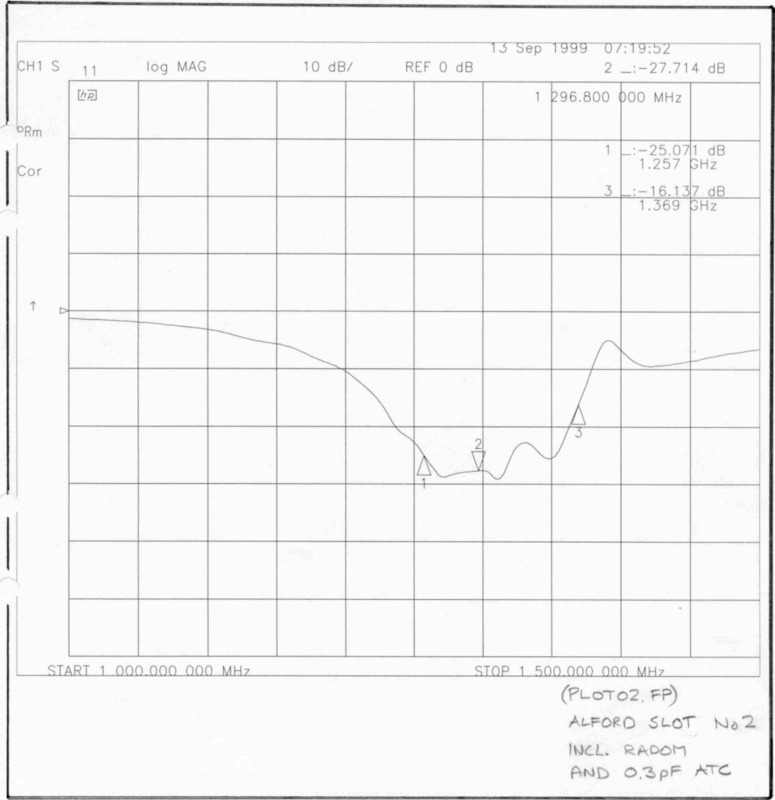 Check balun performance before mounting it into the Alford. Mount two 100 ohm SMD resistors (in series) across the 200 ohm side of the balun and check return loss. I found that the impedance in the feeding point of the slot is approx. 200 ohms and somewhat inductive. I placed a small capacitor across the slot to achieve good match, approx. 0,3pF. It is important that the capacitor is of good quality with low loss e.g. ATC100, ATC180 or something with the similar performance from some other manufacturer (dielectric labs). RL of the antenna should be in the range 20 - 30 dB. So far I have built and measured three antennas and all of them performs as expected. 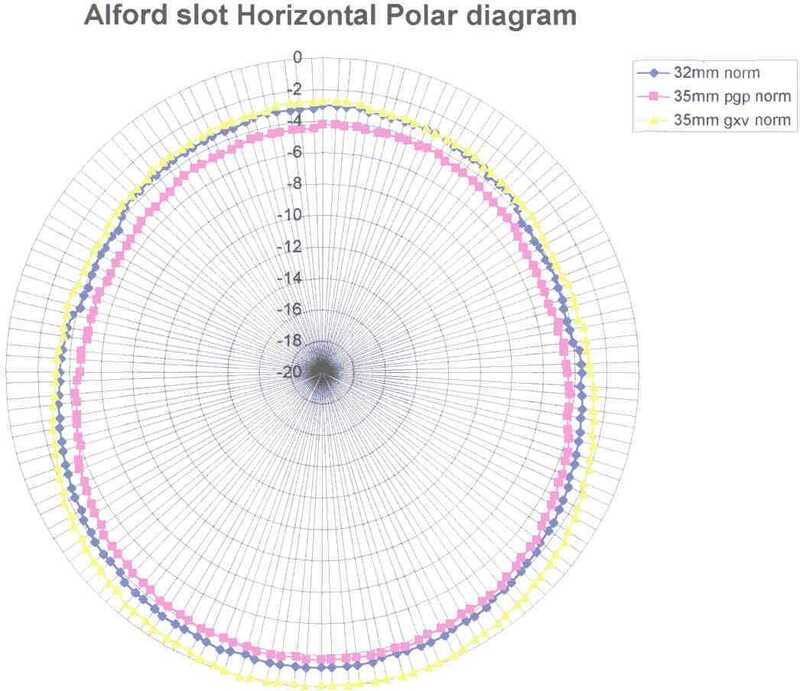 I measured the radiation pattern in my garden with some simple homemade equipment and a PC. 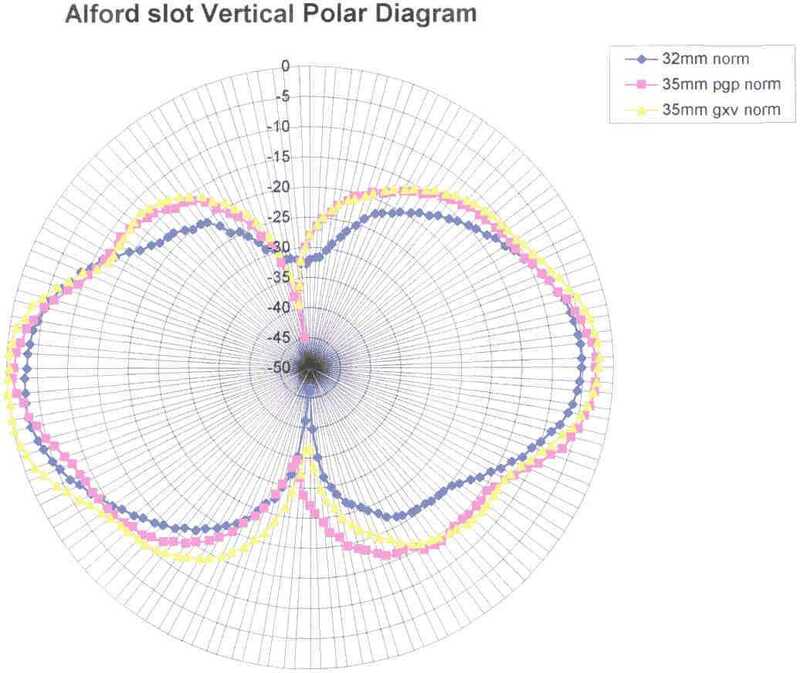 I made a comparing measurement against a dipole to get some approximation of the Alford slot antenna gain. All measurements done at 1296.8 MHz using a VCO (locked to a 13 MHz reference), a logarithmic detector from Analog devices AD8313 connected to an A/D converter. The A/D converter is connected to the PC parallel port, the antenna rotator is also controlled by the parallel port. A novel GPS avionics slot antenna, RF Design august 1996.